The airplane has changed our world, but do we really understand exactly how much? LIVING IN THE AGE OF AIRPLANES reminds us how profoundly this amazing invention has changed the way we do just about everything. It also renews our appreciation for the airplane and stunningly conveys the wonder and grandeur of flying. 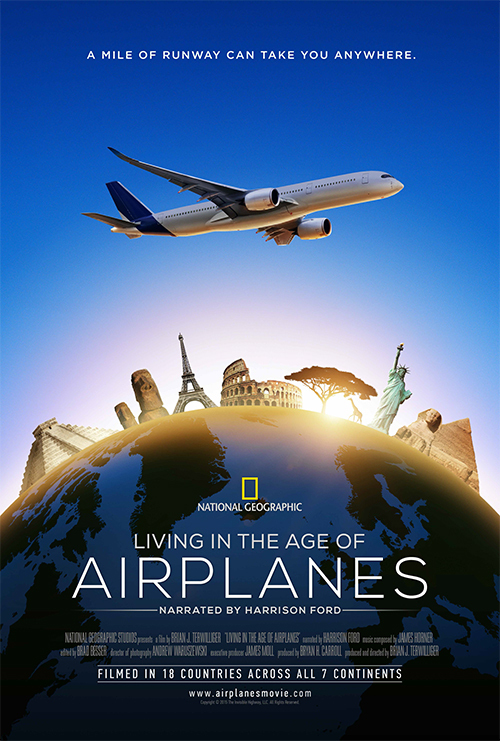 Filmed in 18 countries across all 7 continents, the film explores the countless ways the airplane affects our lives (even when we don’t fly).